David Kender was born on September 12, 1941, in Dayton, Ohio. He was commissioned a 2d Lt in the U.S. Air Force through the Air Force ROTC program on June 7, 1964, and went on active duty beginning September 29, 1964. Lt Kender attended Undergraduate Pilot Training at Laredo AFB, Texas, from September 1964 to March 1965, and then switched to Undergraduate Navigator Training, receiving his navigator wings at James Connally AFB, Texas, in March 1966. He next attended Electronic Warfare Officer (EWO) training at Mather AFB, California, from March to October 1966, followed by service as an MC-130E Combat Talon I EWO with the 779th Tactical Airlift Squadron at Pope AFB, North Carolina, from October 1966 to May 1968. Capt Kender then served as an MC-130E EWO with the 15th Special Operations Squadron at Nha Trang AB, South Vietnam, from May 1968 to May 1969, and as an MC-130E EWO with Detachment 2 of the 1st Special Operations Wing at Pope AFB from May 1969 to June 1971. During this time he served as EWO aboard the MC-130E "Cherry Two" during the Son Tay Raid, a clandestine mission to rescue American Prisoners of War in North Vietnam on November 21, 1970. He next received an Air Force Institute of Technology assignment to complete his Electrical Engineering degree from June 1971 to June 1973, and then served as an MC-130E EWO with the 318th Special Operations Squadron at Pope AFB from June 1973 to May 1974. 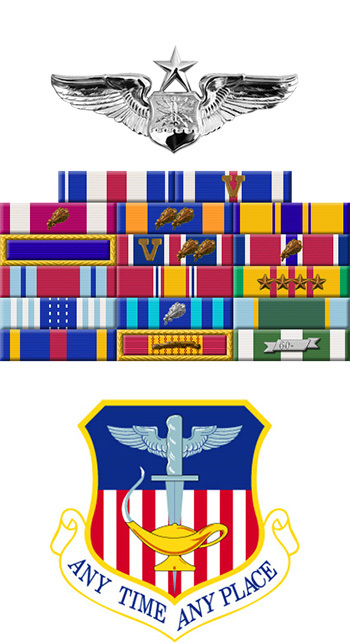 His next assignment was as an MC-130E EWO with the 8th Special Operations Squadron and the 1st Special Operations Wing at Hurlburt Field, Florida, from May 1974 to June 1976, followed by service as a Test Director and Program Manager with the 2762nd Logistics Squadron (Special) at Wright-Patterson AFB, Ohio, from June 1976 to November 1981. 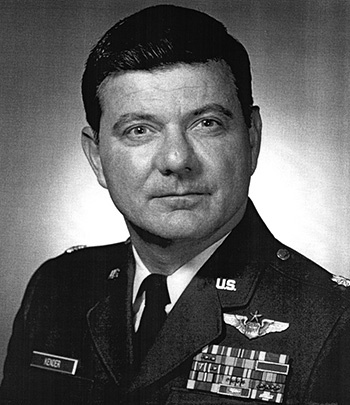 LtCol Kender served as Assistant Chief and then Chief of the Compass Call Project Management Office with the U.S. Air Force Tactical Air Warfare Center at Eglin AFB, Florida, from November 1981 to February 1985, and then as Chief of the Avionics Electronics Warfare Division, Chief of the Counter Measures Division, and then as Program Manager for the Compass Bright Program at Wright-Patterson AFB from March 1985 until his retirement from the Air Force on October 1, 1988. Captain David M. Kender distinguished himself by gallantry in connection with military operations against an armed enemy of the United States during the Prisoner of War search and rescue operation at Son Tay, North Vietnam, on 21 November 1970. On that date, Captain Kender participated in a combat flight which led the Force into Son Tay. By his thorough mastery of his equipment, Captain Kender successfully reduced enemy threats. Through his expert knowledge, Captain Kender skillfully minimized enemy actions throughout the mission. As a result of Captain Kender's heroic efforts, the Force arrived at Son Tay without incident, the enemy ground forces were completely surprised, and the mission was successfully completed. By his gallantry and devotion to duty, Captain Kender has reflected great credit upon himself and the United States Air Force.